A tiny hamlet and bay of just four houses on the northern seashore of Veliko Jezero, right in the heart of National Park. 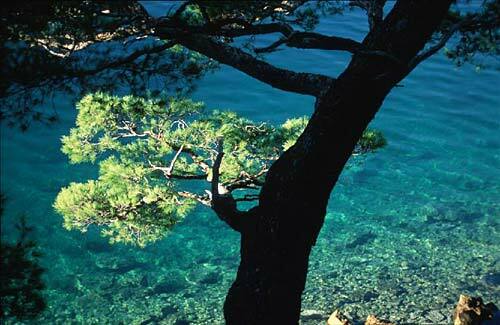 The place features a post office, exchange office as well as headquarters of Mljet National Park. Take a minibus to the small pier in the bay where the starting point from which all ferry boats to Melita (Sveta Marija) islet with Benedictine Monastery are departing.